Hadrosaur dinosaurs. 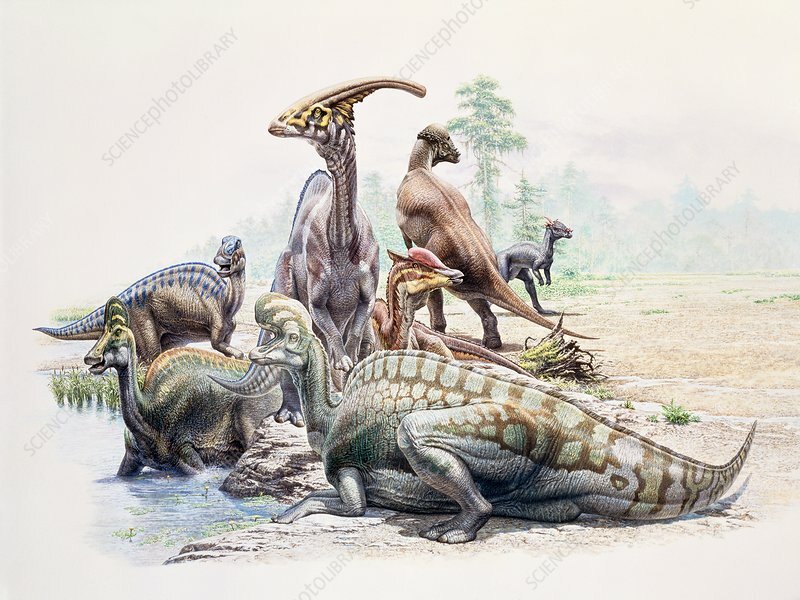 Computer illustration of a group of various hadrosaur dinosaurs. Hadrosaurs (duck-billed dinosaurs) were common herbivores during the Late Cretaceous period (around 100 to 66 million years ago) in what is now Asia, Europe, Antarctica, South America, and North America.